As You may know Anna & Patryk did not go through the top five but the sweet and blessed voice Jackie Evancho, she can melt your heart with her voice or make you stop what ever we are doing. I broke a plate while washing dishing. Even though she tripped on the stairs while wearing a mask, she was worried that she and her partner and good friend Patryk, would not make it. They will make it big in the business and I hope they will make a guest appearance on “Dancing With the Stars” soon this fall. 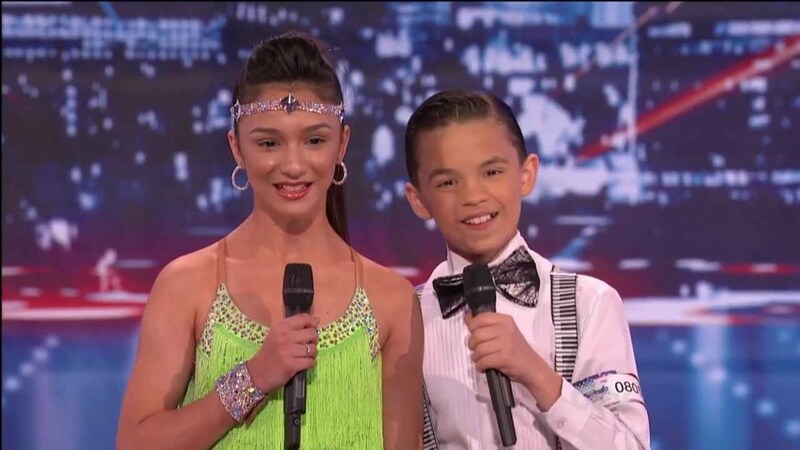 The judges were praising both of them that they did a fantastic job as dancing and how they recover from a fall. If they perform together in the future I will definite vote for them again. Jackie may win America’s Got Talent next week during the finals. But one thing we have to do is vote, don’t talk about it just vote for her or your favorite to win on America’s Got Talent. Let you fingers do the voting for you. The other top contenders were Prince Poppycock, he’s the male version of Lady Gaga. He’s better than Lady Gaga. It might be Lady Gaga underneath the costume. Not. He’s a guy dressed as Prince Poppycock, but he has a great opera voice and fantastic performance as a showmanship on stage. If he wins he will make a transition from opera to pop music, just like Mariah Carey did. Michael Grasso did a fantastic job as a magician on stage. He did a reality show for NBC long time ago called T.H.E.M (Totally Hidden Extreme Magic) he was one of the magician performing illusion. And he was good. He will make it in the business. He may replace Chriss Angel one day. Taylor Mathews will do great in the business even though he did not make it through the next round for the final, but Michael Grimm did. Michael Grimm has a great voice when sings and performs. Fighting Gravity has landed on stage to be the next final act. The dance group knows how to dance in the dark, I tried it once dancing in the dark, but I fell. On the couch and my cat scratch me. Sorry kitty. Back to the veterinary office again, for me, not the cat. Remember to vote after the show. Write down the numbers. Watch America’s Got Talent on Tuesday and Wednesday night on NBC. By the way, Piers Morgan will replace Larry King in January 2011.